Chomper Holiday Squeak and Tug Dog Toy is built to withstand the roughest play sessions with you pup! 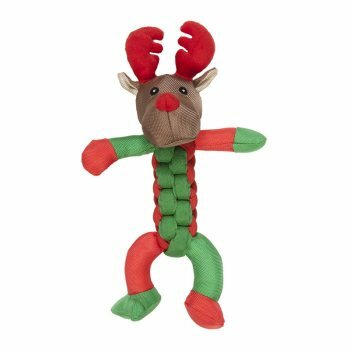 Made from tough and durable ballistic nylon these silly characters come with squeakers for more enticing playtime fun. Chompers Reindeer Twiserz makes a great holiday gift.